Soldiers of the ski battalion of the Finnish troops in the snow-covered forest. For the transport of goods are used deer and sleigh-trailers. 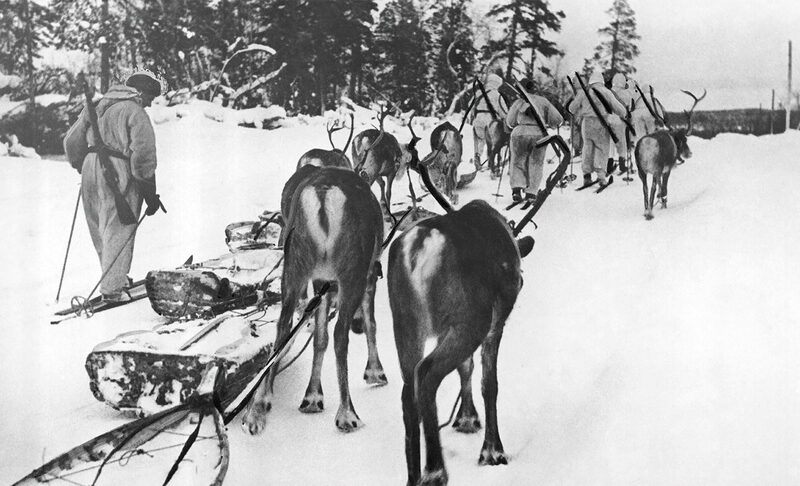 Finnish-Soviet Winter War of 1939-1940. The photo has traces of manual retouching.